Watching an elaborate project come together can be a lot of fun, but sometimes a quick and simple crafting project is exactly what you need! 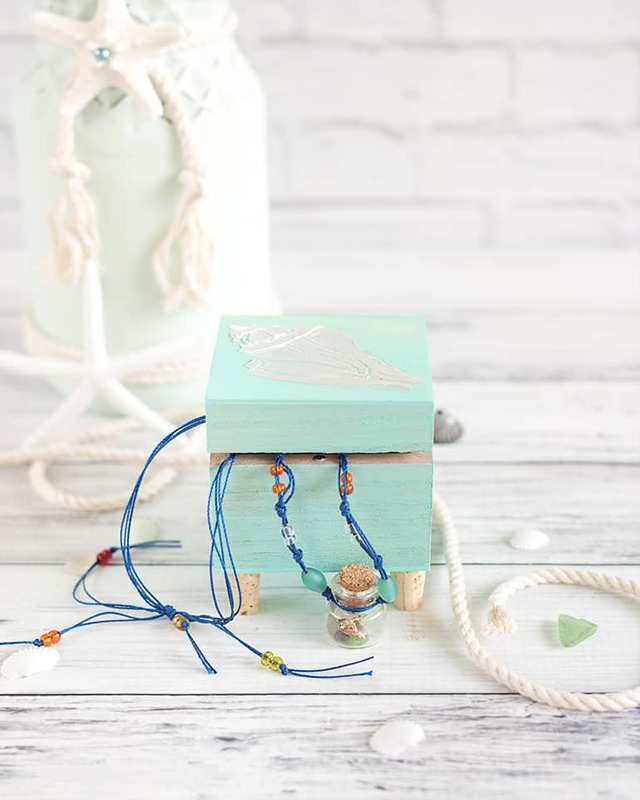 This DIY footed jewelry box is the perfect project for when you want a cute and satisfying craft. 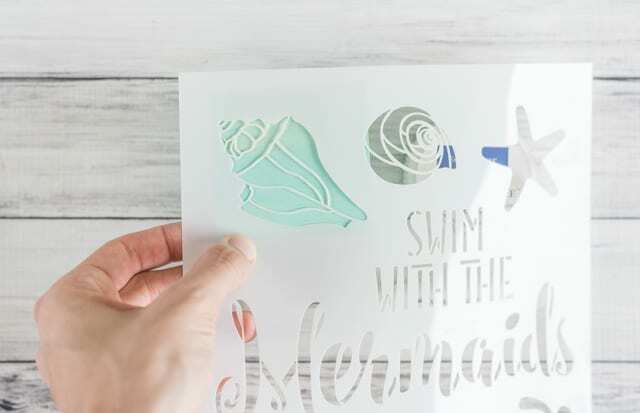 It’s easy to customized with your favorite paints, stencils, or other embellishments and it only takes a few minutes of active time. I hope you enjoy! A small unfinished wood box. Mine is about a 3″ cube, has a small magnetic catch, and was purchased at my local craft store. Virtually all craft stores have an unfinished wood section, and there are a lot of options on Amazon. Four small corks. I used 1/2″ x 3/4″ corks, but you may want slightly larger ones if you have a larger box. Your favorite adhesive. E6000 would work well for this project, but I prefer non-toxic options like Tacky Glue or high-temp hot glue. Additional decorations/embellishments – optional. 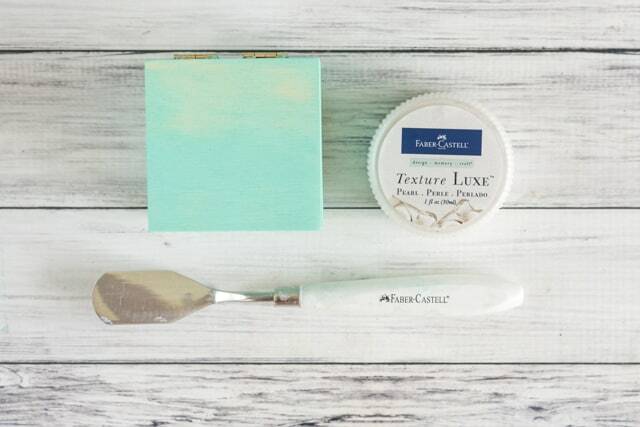 I used a shell stencil, pearl Texture Luxe paste, and a palette knife. 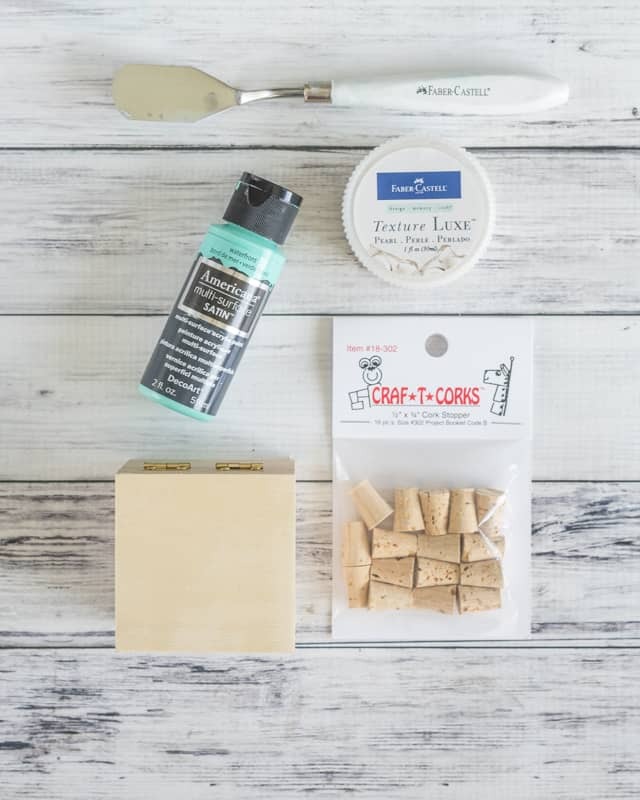 This mixed media kit is a good deal if you’re looking to get started with some mixed media projects! Begin by painting your box. I wanted a slightly weathered, beachy look so I used a fairly dry brush to apply the paint and allowed some of the natural wood to show through. This technique works well for beachy, rustic, and cottage chic styles! Once the paint is dry, embellish the box. I chose to stencil a shell on the lid using a pearlescent mixed media gel/paste. This gives the stenciled design a unique, raised appearance. You can also add color to a texture paste using mica powders, Pearl Ex, or ground up gelato. If you’d like to learn how to color your paste with gelatos, please stop by this mermaid picture frame tutorial! To stencil with a paste, hold the stencil firmly in place or tape it down. Apply the paste with your palette knife and try to avoid as much side to side scrapping as possible to keep the design crisp. Lift the stencil straight up as soon as you’re finished applying the paste, clean up any leaks with a paper towel, and then clean off both your palette knife and stencil. Once your embellishments have dried, it’s time to apply the corks! Flip the box over and glue one cork in lace on each corner, making sure the broader end of each cork is on the box and the narrower end is “down.” I used Original Tacky Glue on my corks because it’s nontoxic and strong. 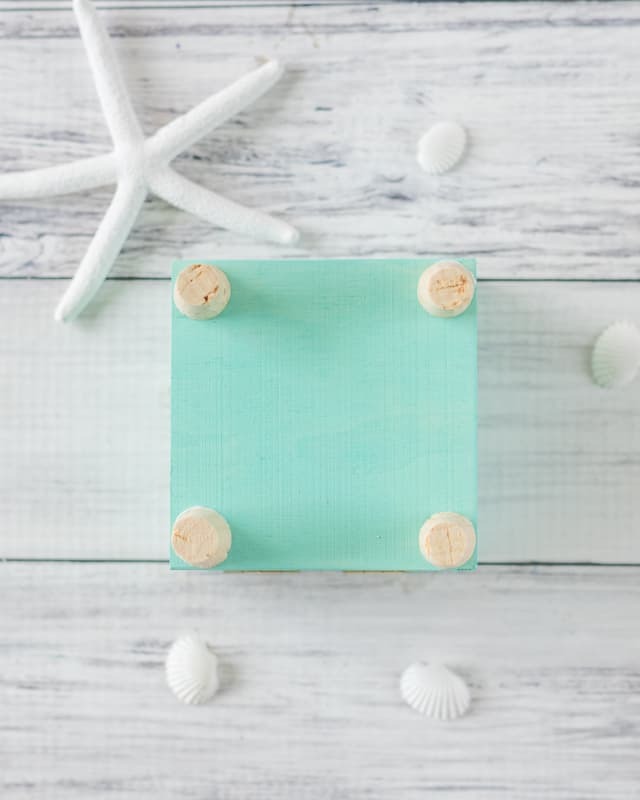 Enjoy your super cute and easy DIY footed jewelry box! 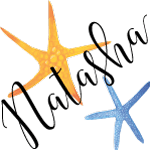 I love how easy this project is to customize with whatever embellishments you have on hand! 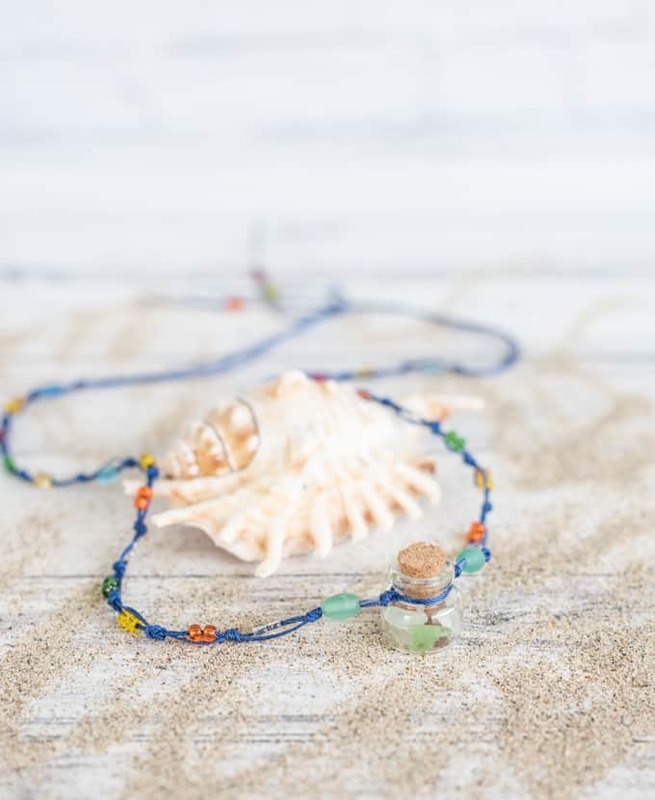 If you like the looks of the necklace in the photo above, please stop by this tutorial for an easy macramé summer memories necklace! 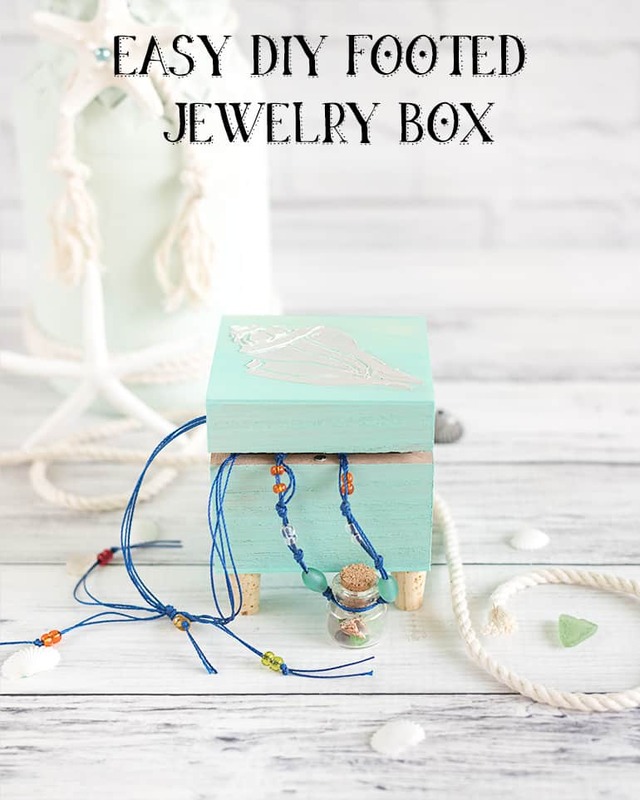 It’s the perfect partner for this cute jewelry box. 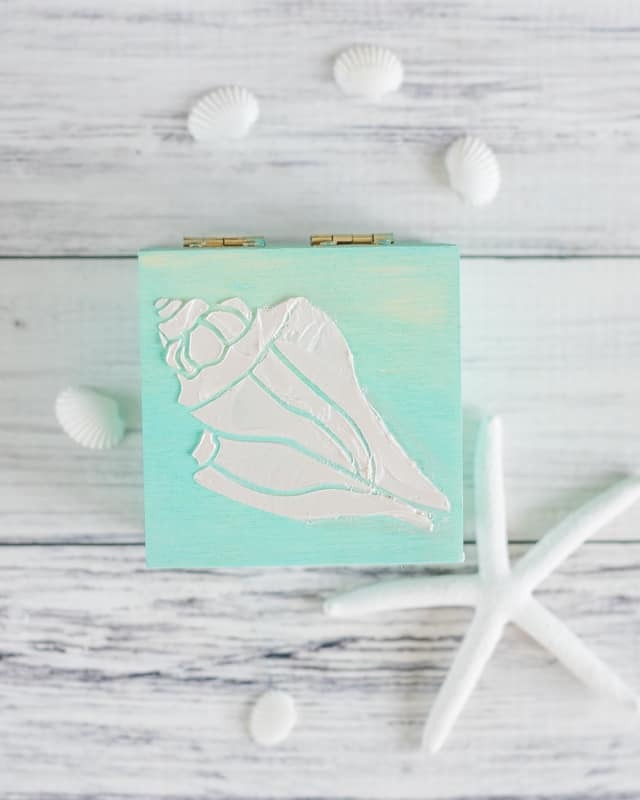 What theme would you choose for decorating a small jewelry/trinket box? Beautiful design, You make everything look so easy!